Print Layouts. Graphic Design Software. Whether or not a print provider offers design services, design tools should be in place to modify existing files. Design software includes essential tools and specific feature sets like color management, proofing, and special finishing. Before investing in a design software solution, print providers should consider a program’s ease of use and learning curve. Print providers have specific requirements for graphic design software. “It’s critical for them to have access to a color managed workflow, powerful font handling with the ability to embed fonts, and access to a document summary that shows the file information they need, right at their fingertips,” says John Falsetto, senior director of products, CorelDRAW and Productivity, Corel. Graphic design software includes features like tracking, proofing, and a print MIS system. Accurate tracking systems provide the print job’s location and progress. “Knowing the location and progress of each job in the print factory is key to identifying and eliminating any bottlenecks that could affect the bottomline,” explains Brett Heap, CEO, OpenSoft. Proofing features perform accurate, remote proofing without producing physical sample products. Heap says this saves significant time and money in addition to reducing the overall sales cycle by weeks or days. Beyond the essential tools, print providers value graphic design software that accurately handles a variety of file types with simplified usability and a set of diverse applications. “It’s essential that graphics software makes it easy to collect all the necessary files needed to output a job like fonts, color profiles, and any other required assets,” says Falsetto. Today’s print providers also seek methods that boost productivity like design tools that deconstruct PDFs and bring them together in a desktop publishing tool. “Once in same tool, the elements can be corrected, edited, and enhanced,” shares Matthias Gilke, global senior marketing manager, Quark Software Inc. According to Gilke, the biggest trend affecting the design tool space is digital publishing. Consumers now choose to access information in digital and mobile formats. Print providers seek applications that help clients create HTML5 publications, print, and PDF output. 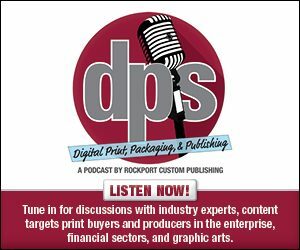 “We see a trend towards high-quality and personalized print materials supplementing digital and mobile material—so it’s important for print providers to have solutions that keep up with this trend,” he explains. Design software develops quickly but not all print providers take advantage of its features. “Many print providers may only know a fraction of what the software can do for them,” says Gilke. He recommends print providers invest in education to leverage new and innovative features and functionality. Professional training is available via online tutorial videos explaining design tool concepts and features that offer productivity, saved time, and high-quality output. Common underutilized features are those associated with customer service and online portals. One of the most challenging aspects of design software is the learning curve. According to Falsetto, some design software has steep learning curves that are time consuming to implement into the workflow or to train employees. “By choosing a professional output solution that’s easier to use out of the box, and then lets you customize it for your business, you can ensure all your employees are highly productive, right away,” he explains. “Not having to take the time to get up to speed with latest innovations is the biggest hurdle,” agrees Gilke. He suggests print providers stay up to date on the latest software releases and pay attention to innovations in the market. By leveraging major new features, print providers can save time and open new business channels while doubling their output. User-friendly design software optimizes the print process for print providers and the end user. “Oftentimes, design software is too complicated for anyone to use other than skilled specialists,” admits Heap. Even experienced graphic designers familiar with photo editing and desktop publishing software may not be skilled enough in print design. Design tools help print providers accurately construct proofs without producing a physical product sample. Before selecting graphic design software, print providers should consider the software’s usability and whether training will help expedite the learning process. Click here to read part two of this exclusive online series, Design Ready.